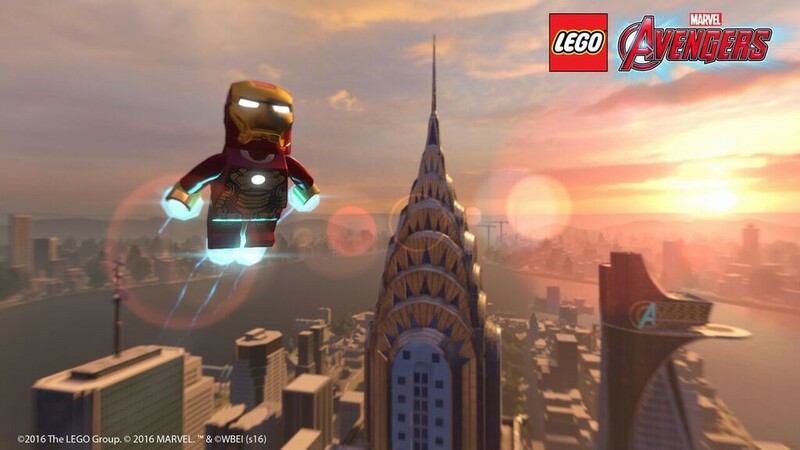 Time sure flies by if you consider that the first LEGO Marvel game was released more than two years ago. The first installment proved to be a huge success, as it pitted a massive amount of superheroes against a ghastly cast of super-villains, to make sure everything in the Marvel universe would be safe once again, albeit thanks to your divine help. 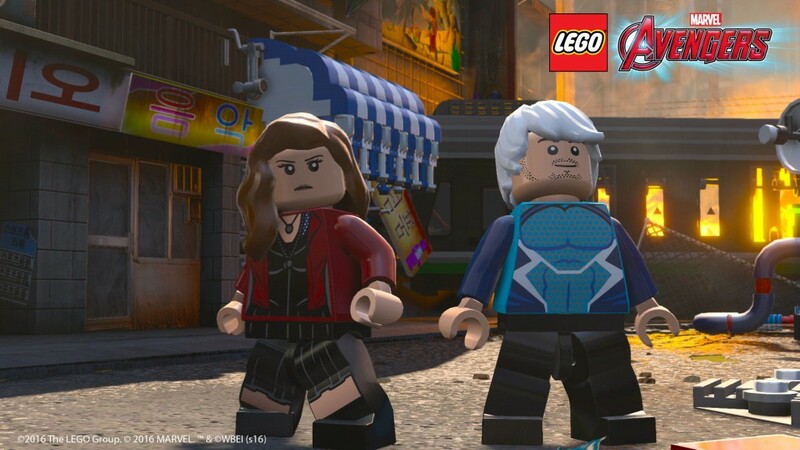 Now the second installment of the LEGO Marvel franchise has been released, but things follow a slightly different pattern, as this title will implement some of Marvel’s recent and popular film plots. Prepare yourself to see scenes from The Avengers, Thor, Captain America and Iron Man. Avengers assemble! As LEGO Marvel’s Avengers is a composition of different Marvel superhero movies, you will be treated to more than one storyline, all within the Avengers, Thor, Iron Man and Captain America franchises. That being said, while the game begins with the plot of the second Avengers movie, you’ll immediately flash between other stories after your first mission, ranging from Thor to Captain America. While it’s fun you’ll be able to relive moments from many different flicks, you’ll find it a bit of an incoherent mess, as the different stories are mixed with one another, making it a tad confusing for those who haven’t watched all of these Marvel movies yet. Nonetheless, you’ll surely get enough content to enjoy. Graphically LEGO Marvel’s Avengers doesn’t really diverge from any of the other installments that have been released over the course of the last few years. You’ll be treated to a humongous cast of LEGO superheroes, each with their own quirks and distinctive caricature features, making them instantly recognizable, even in their toy form. While the environments are filled with many LEGO constructions, everything is accompanied by realistic, yet static environments, making one very attractive whole. With a cast this gigantic, and the many different environments, this might be one of the bigger LEGO games, in terms of diversity. 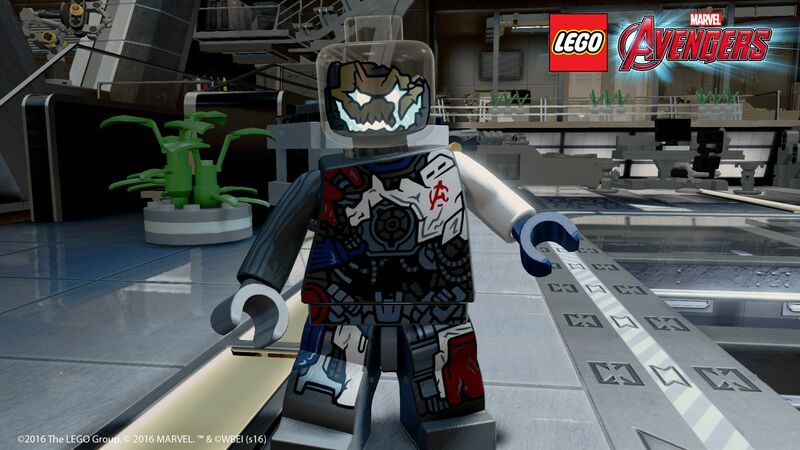 It’s clear that the appearance of this game was one of the developers’ priorities, probably to make sure the fans of the different franchises would be drawn into the LEGO alternative universe. The LEGO games universe has gone a long way from mute characters, that sometimes made a few amusing grunts and other funny noises, to fully voiced games. As is common with the LEGO games actual snippets of voice acting from the original movies are being used to serve as the ‘sound’ of their titles, while going hand in hand with slapstick scenes. The addition of the original voices, makes the game a lot more authentic and it proves to go well with the iconic LEGO humor. Just like the voice acting, the music is rather authentic and fitting for both the original movies, as well as this LEGO interpretation. Overall the musical score is rather adventurous, which suits the entire superhero theme of the game. 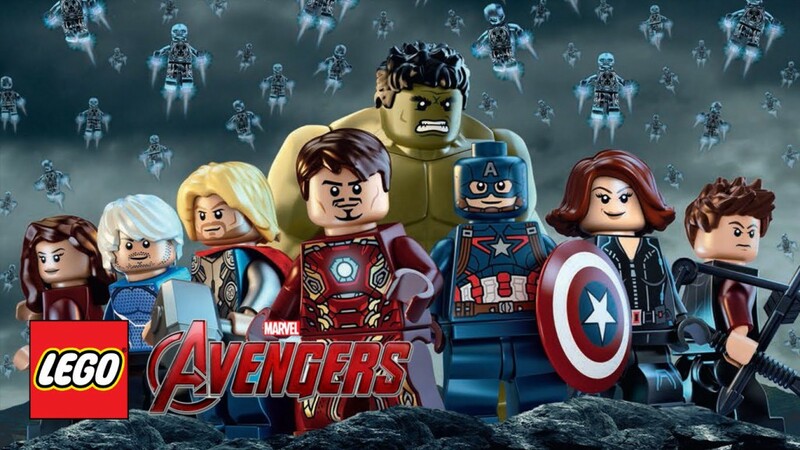 Just like nearly every other LEGO game, LEGO Marvel’s Avengers follows the action adventure formula, with a hefty amount of platforming and puzzles riddled throughout the entire game. You’ll have to do your best to plow your way through the many levels, challenges and enemies the game will throw at you. During the many missions this game has, you’ll always have to fight yourself from point A to point B. While everything proves to be straightforward, you’ll have to solve a serious amount of small and simple puzzles in order for you to get by obstacles. Even though you’ll always be doing the same thing over and over, it’s quite amusing to be able to destroy pretty much everything in your wake, that is made out of LEGO. Collecting LEGO studs will surely prove to be worth your while, as you’ll be able to use the studs as currency later, to unlock more content. Again you’ll be treated to an ‘overworld’, in which you can access countless challenges, outside of the story missions. This central hub is more useful later on in the game, as you’ll find yourself lacking the right characters in the beginning of the game. Sadly, the developers opted for characters that can only be used in this central zone, which renders them useless if you’d rather take them on missions with you. While it’s fun having a gigantic cast of heroes to control, it’s a missed opportunity that you can’t use them in what actually drives the game. Nonetheless, the hub in this game is rather large, making sure you can use all the characters you want, while still having some content to plow through. While the gameplay itself is pretty much performing the same actions over and over again, you’ll find a lot of entertainment value in being able to play with all the different characters, who pretty much all have different special skills and abilities. Some even have rather expansive abilities, such as Iron Man, who will be able to summon more of his suits later in the game. The game itself still has some bugs and uncomfortable features, most of them being rather tedious at times. Controlling the spaceship on the map when shifting through different missions is rather unresponsive and feels like it was hastily developed, simply to be featured in the game. Other bugs include being tossed into obstacles, after completing a forced sequence or not being able to trigger events, even though the command promptly appears and you keep pressing the proper button. 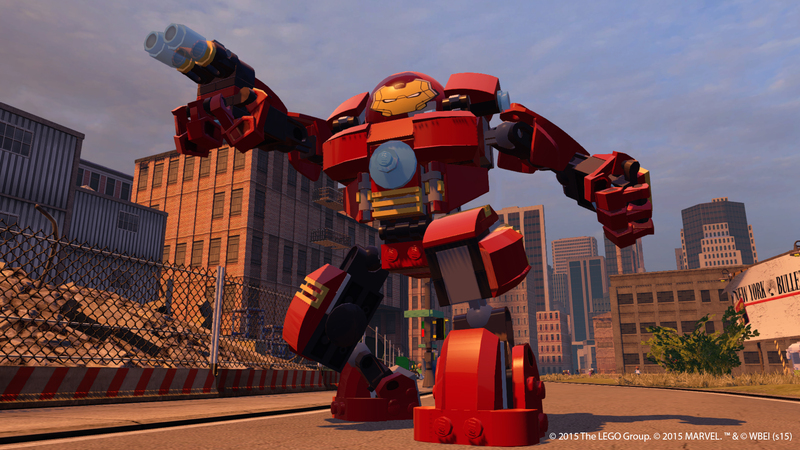 LEGO Marvel’s Avengers proves to be another worthy installment in the LEGO universe, but it’s starting to feel like we’ve seen it all. Those who simply love the previous games, will surely love this one as well. Newcomers who are into superheroes will also find their pick of the litter in this title, but those who are getting tired of nearly the same formula over and over again, might best wait until this game reaches the discount bin. That being said, the game is qualitative, has loads of content and features a massive cast of characters.